Columnist Denis Pombriant is excited about the potential of social media, mobile technology and analytics used together, but he’s hoping for some new ways to measure them. 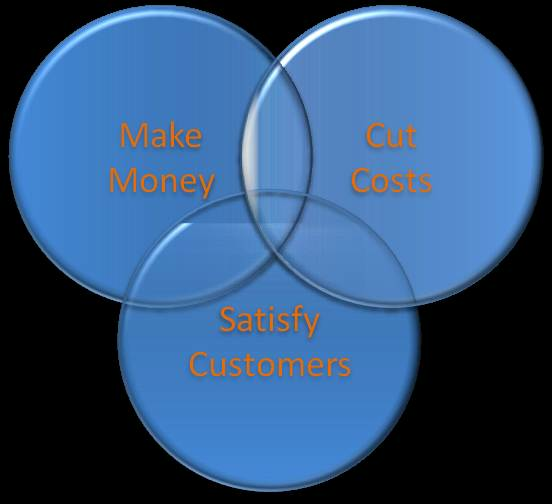 It is often said that businesses do things for just three reasons -- to make money, cut costs or better satisfy customers. Few things do all three, but the evolving tool kit of social technologies coupled with analytics and mobile devices offers a rare trifecta. This trio changes business practices as fundamentally as the introduction of the computer or the telephone. Together they provide a better way to communicate, one that both reduces the cost of communication and better meets customers where they live and work. Used right, they can help companies engage with customers in more intimate ways, making it easier to meet needs and do business. They also capture massive amounts of data from customers and leverage analytics to discern patterns in current and future demand and uptake as well as customers’ reactions to existing products and policies. There is a but statement lurking in here though and it goes like this: These results are nice, but we can only know how we are doing if we have goals to compare them against. We made more money but do we really know why? Much the same is true for cost avoidance. You can replace a relatively expensive process that customers love with something less costly that drives customers away. And while we’re at it, there are good ways to increase customer satisfaction and bad ways. The bad ways cost more money than you take in and that’s not something that can go on indefinitely. Increasingly, we’re coming to understand that with the new technologies come needs for metrics, ways of measuring our success, that are not unidimensional but are combinations of more than one measurement. In science, where I spent my youth (I got older but never really grew up), just about anything worth knowing was a combination of more than one measurement. In physics, speed is a distance in a unit of time, like miles per hour; acceleration is the rate of change of speed or distance per second per second (or per second squared). In biology we talk about growth rates, population changes and density, habitat expansion and depletion rates and, well, you get the idea. In business we’ve been focused on revenue in the last quarter, a very simple metric that says a lot but that also leaves much unsaid, leaving us open to things like the old medical joke, the operation was a success but the patient died. We’ve gotten better at how we measure business success with our attention on ROI and customer lifetime value, for example. But now it’s time to focus on the measurements and metrics that are opening up as a result of the new technologies available to us. I’d suggest there are multiple metric combinations that we don’t think about or perhaps have not yet thought about that the trio of social, mobile and analytics makes possible. A new product or service makes more money; great! What is the sentiment of customers who’ve engaged with that new product? Is there a ratio of dollars to sentiment we can take into account? The same could be asked of a new cost-cutting regime. Or how does revenue vary across multiple channels with customers of similar demographic backgrounds? Is there something we can’t communicate in channel A that we can communicate in channel B that is accounting for the difference? I got on this metrics kick when I started paying close attention to some of the back-office metrics that subscription companies are starting to use, like churn rate and monthly recurring revenue (MRR). The MRR is what we can call the “theoretical yield,” or 100%, but the churn rate says that on average your company loses a small percentage of customers or revenue a month. So the actual MRR will be theoretical minus churn. Just to tie all this together, you can control churn and of course sales, which drives MRR, in the front office, and this is where it gets exciting. The tools we now have at our disposal enable us to see further and wrap our arms around the whole enchilada if we invest some creativity in their use. I’d wager that many of you have already come up with some measurements, some of which have become key performance indicators for your business. If you have ideas along this line please share them with me. I’ll be writing more about this subject in the months ahead, and all the contributions together will benefit everyone. Send me your ideas at denis@beagleresearch.com. And thanks!